Ties & Tiaras is a fun-filled evening for girls of all ages and their father (or special mentor in their life). 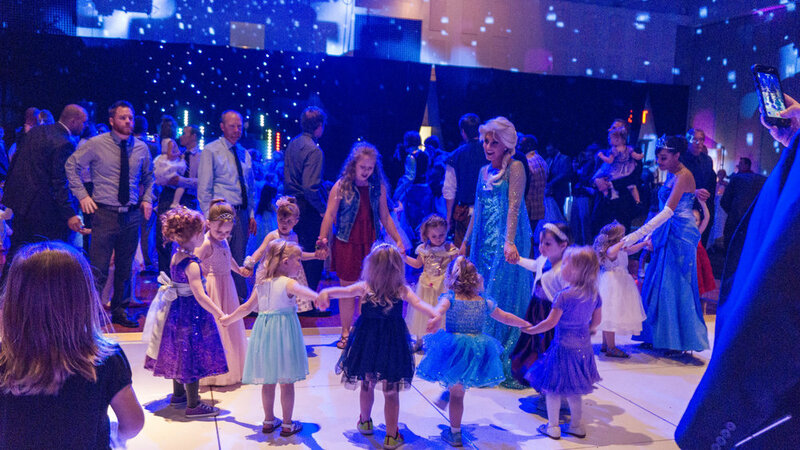 From the moment guests arrive at our splendid venue to their time enjoying princess-themed activities to even dancing with their favorite prince or princess character, they will feel like a member of the royal court. 3:30-5:00 Session - Geared for 3-5 year old girls, but any age may attend. 5:30-7:00 Session - Geared for 6-8 year old girls, but any age may attend. 7:30-9:00 Session - Geared for 9-12 year old girls, but any age may attend. Optional wrist corsages will be provided by Gustafs. If you haven't already pre-ordered one, they will be available for $20. These wrist corsages must be prepurchased.